Professor Alan Carr, BA, MA, PhD, Reg Psychol FPsI, C Psychol FBPsS, Reg FTAI, ECP - has a personal chair in clinical psychology at UCD, where is Head of the School of Psychology (2012-2015), and director of the doctoral programme in clinical psychology. He also has a clinical practice at the Clanwilliam Institute, Dublin. Prof. Carr has produced over 20 volumes and 200 papers and presentations in the areas of clinical psychology, family therapy and positive psychology. Prof. Carr has held research grants from the SSRC, the HRB, the Department of Justice, Equality and Law Reform, the Commission to Inquire into Child Abuse, Crosscare Teen Counselling, Archways Families First and the Daughters of Charity. In addition he has co-ordinated a sponsorship programme involving the Irish Health Service and agencies which since 1997 has supported the training of over 100 doctoral students in clinical psychology and involved funding of over ¿10 million. He received the Award of Special Merit from the Psychological Society of Ireland in 2001 for his contribution to the development of clinical psychology training and research and was made a Fellow of the Psychological Society of Ireland in 2002. He was a visiting professor at the University of Aarhus in 2005 and was awarded a personal chair at UCD in 2006. In 2009 he was made a Fellow of the British Psychological Society and received the International Research Promotion Council, Eminent Scientist of the Year, Europe, award in Clinical Psychology and Mental Health. In 2011 he received an award from the European Family Therapy Association for his contribution to family therapy research. 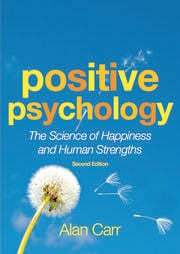 Clinical psychology, Family therapy, Positive Psychology .